The B.S. 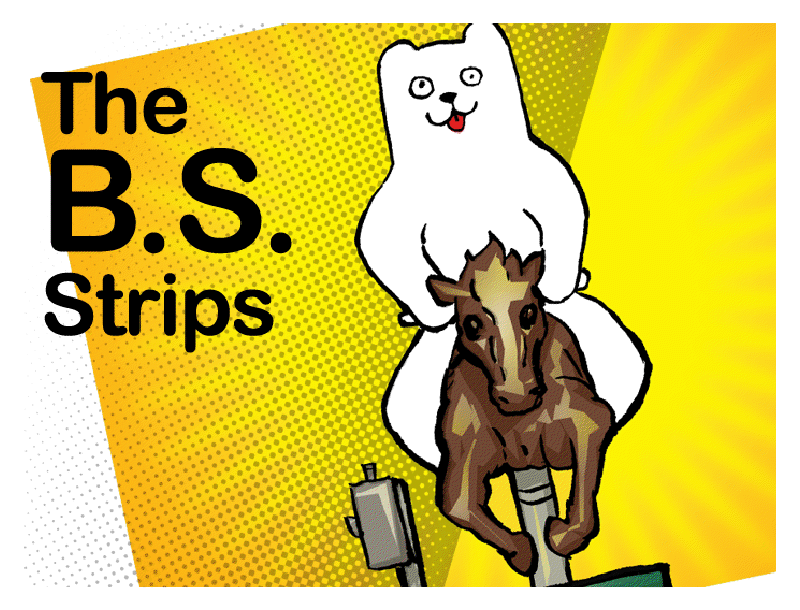 Strips – Webcomic launches today — February 23, 2011! Prepare for shock, awe, and laughs in this glimpse into the life of a foul mouthed cartoon Bear, in an all too human urban environment. Based on the popular graphic novels “The Bear Stories”, this NEW web comic is a series of weekly stand alone strips involving the ever so lovable yet abrasive “Bear” character. Because of his personality he tends to get himself into trouble, not for the easily offended! Visit www.thebearstories.com for a FREE webcomic posted every Wednesday. Pushing the boundaries of taste, their first adventure with The Bear was in a self-published zine released in 1998. In May 2008 the first full length issue of The Bear Stories Volume One published by DMF Comics was released, selling out at conventions and gaining nearly instant cult status. With combined backgrounds in traditional illustration, graphic design and digital animation, the creators are dedicated to bringing their own brand of outlandish humour to as wide an audience as possible.